Anything To Check In? Well Funny You Should Ask! When I was out in Catalunya with Timmer of Catalunya Wines, he was pretty keen on making a video of the day. I’m about as comfortable on camera as I am sitting on a nail, but he’d arranged a top day, so no way I could say “no”! And one of the things he was keen for us to do was have a play with a bit of wine luggage he was raving about. So we did. That was my first contact with Lazenne. Lazenne luggage is a US company, but now fully up and running in Europe from their base in Champagne. The whole point of it was to make sure that wine-o’s on a visit to a wine area have the option to buy a few bottles and still be able to take them home on the plane without having to stuff them in about 12 socks! I was lucky enough to chat to the head honcho in Europe recently, and he very kindly offered to get me a sample, which I picked up from Demarie Wines last week, which Conrad from the Wine Wankers had also done when he visited a couple of weeks back. First impressions are very good. I’m going to be using mine for doing wine tastings round London when I get back. The bugger’s got wheels which will make life a lot easier. 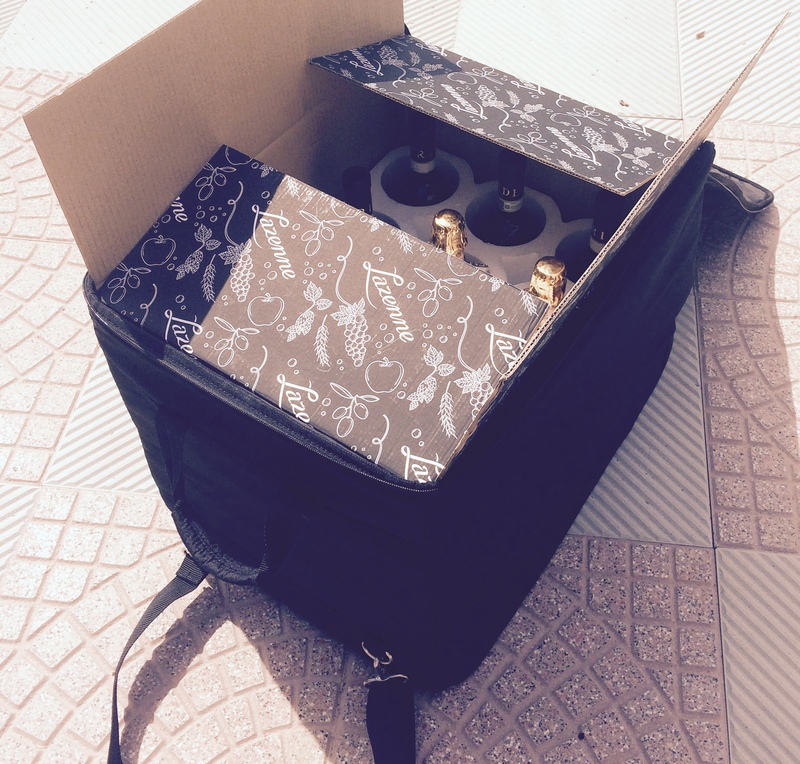 The inserts are packed Styrofoam which not only keep the wine safe from harm, but also can keep chilled wine cool for a while in transport too! I’ll have a play with it myself and report back, but very happy with so far! ← Ever Heard Of Arneis Before? That’ll Change Very Soon!